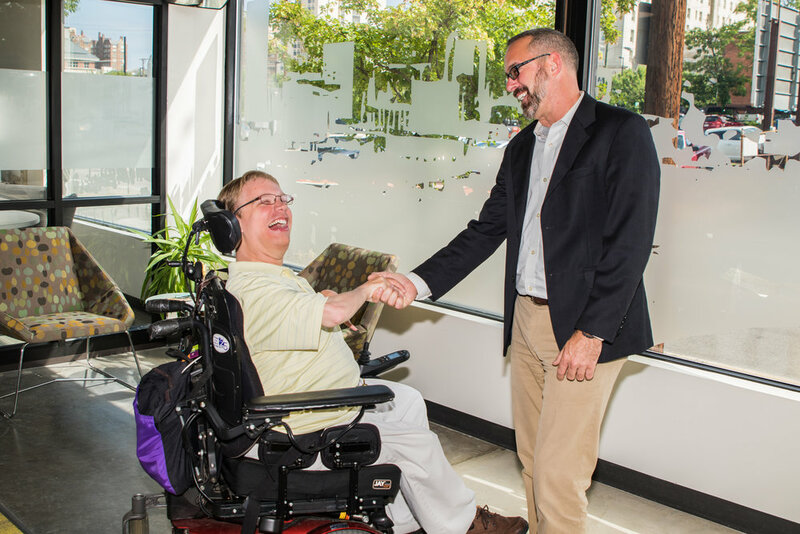 Because of our hard work and effort 6 Wheels Consulting has been honored to be featured in a variety of local, state, and national, press outlets highlighting our work and issues that affect the disability population as a whole. Please explore our press page to read some of these features. — John A. Vithoulkas. County Manager, County of Henrico, Va.
— Vera Thomas Corporate Philanthropy and Community Partnerships, Dominion Resources Services, Inc.
Matthew Shapiro did an excellent job of presenting information on disability etiquette. He used humor and personal examples to ease people into a discussion. The audience enjoyed the experience. — Shelia Newman - President and Owner New Editions Consulting, Inc.
Matthew successfully leverages his personal and professional experience to deliver value through his consulting practice. His work has helped build a strong foundation for our program. We look forward to continued collaborations between ABLEnow and 6 Wheels Consulting in the future. — Cherie Takemoto - Project Manager New Editions Consulting, Inc.